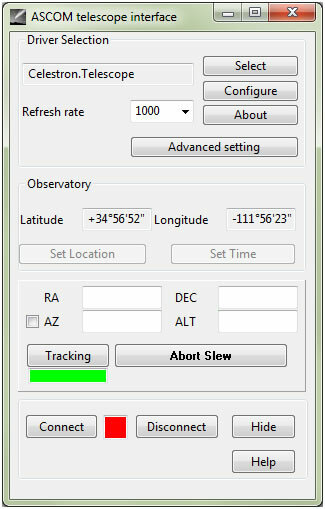 This guide describes how to control a Celestron telescope mount using the Celestron NexRemote hand controller (serial port based only) software and ASCOM drivers over Bluetooth. 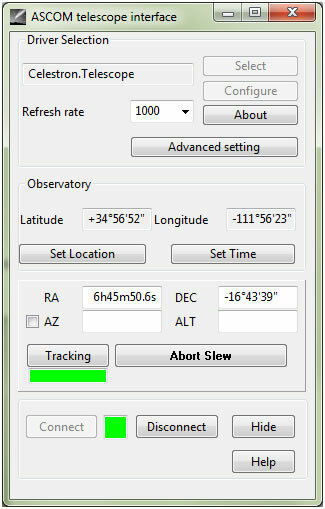 This guide is based on a Celestron telescope GT Mount (similar to SLT mount) with NexStar+ hand control (serial port based only). Communication is confirmed with Cartes du Ciel which uses ASCOM drivers. 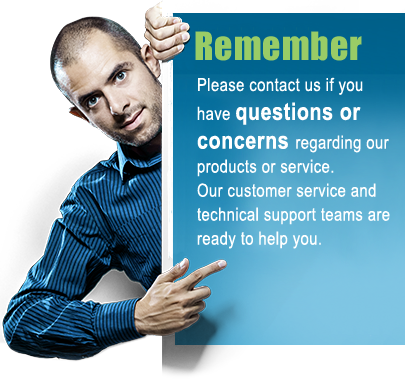 You will need two serial Bluetooth adapters (part UCBT232B). The local (master) serial Bluetooth adapter is connected to your computer by using a USB to serial adapter (part XS8801). The remote (slave) serial Bluetooth adapter is connected to the hand control via a RJ11 to DB9 female cable. The hand control is then connected to the telescope mount. You will need a null modem adapter and a male/male gender changer to connect the remote serial Bluetooth adapter to the DB9 end of the RJ11 to DB9 cable. Start by configuring the two Bluetooth adapters parameters. 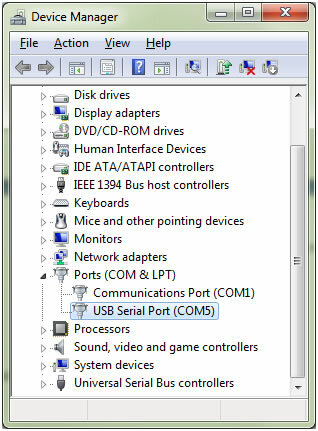 You do that by connecting them one by one to your computer via the USB to serial adapter and then configure the parameters using the configuration utility downloadable from www.usconverters.com. Alternatively you can use a terminal program such as Tera Term or Putty to configure the adapters. These commands sets the adapter to “Master”, makes it auto connect with the slave and sets the baud rate to 9600 baud. This command sets the baud rate to 9600 baud. Now connect the local (master) Bluetooth adapter to your computer via the USB to serial adapter and the remote (slave) to the telescope mount’s hand control. You will need a null modem adapter and a male/male gender changer to connect the remote Bluetooth adapter to the DB9 end of the RJ11 to DB9 cable going to the hand control. Turn on the two Bluetooth adapters; after a few seconds the blue LED light on both adapters should change from flashing to solid blue which means that the two adapters are linked. Make sure the USB to serial adapter is connected to your computer's USB port. Install and run NexRemote. 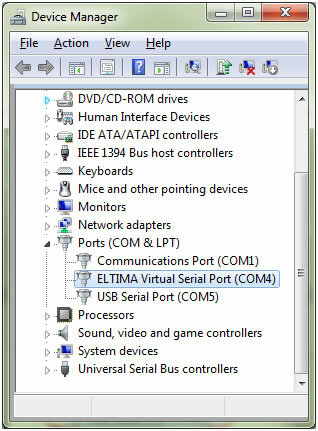 Select the virtual COM port which has been created in your computer by the USB to serial adapter. You can see what the COM port number is in Windows Device Manager (in this example COM 5). In NexRemote also select the mount model, firmware and virtual port; then click the OK button. In Windows Device Manager you should now be able to see the virtual COM port created by NexRemote. This is also the COM port which will be used by ASCOM. 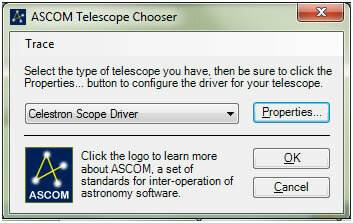 Now you can align the telescope as usual. 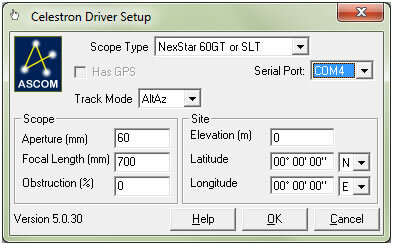 Click the ‘Properties’ button and set the serial port number to the number created by NexRemote; in this example COM 4.